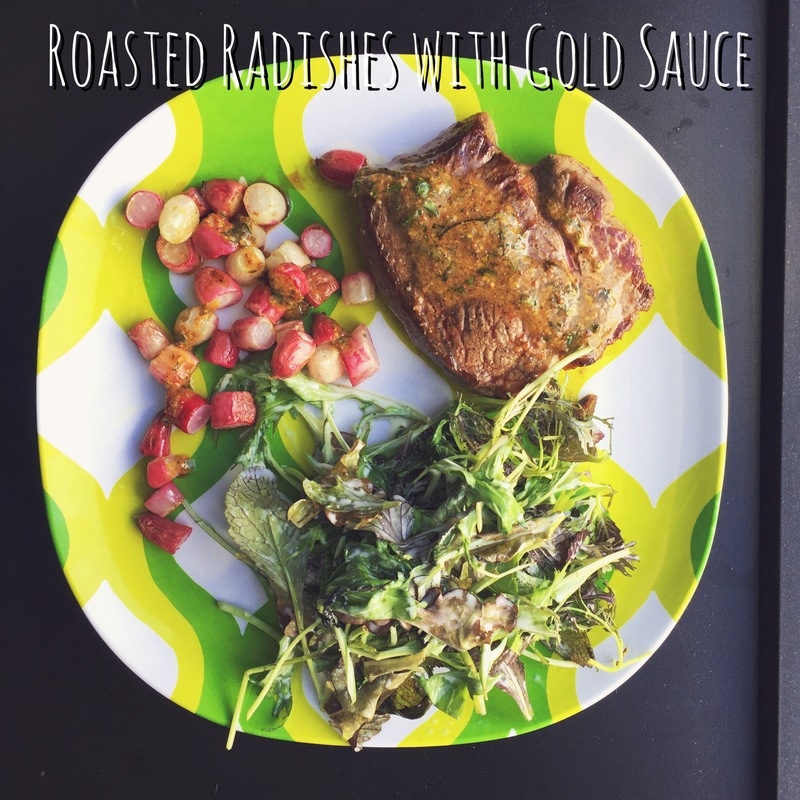 This quick and easy side dish makes a great light dinner with a little protein. Inspired by a recipe made on one of my favorite YouTube channels: Texan In Tokyo (RIP). 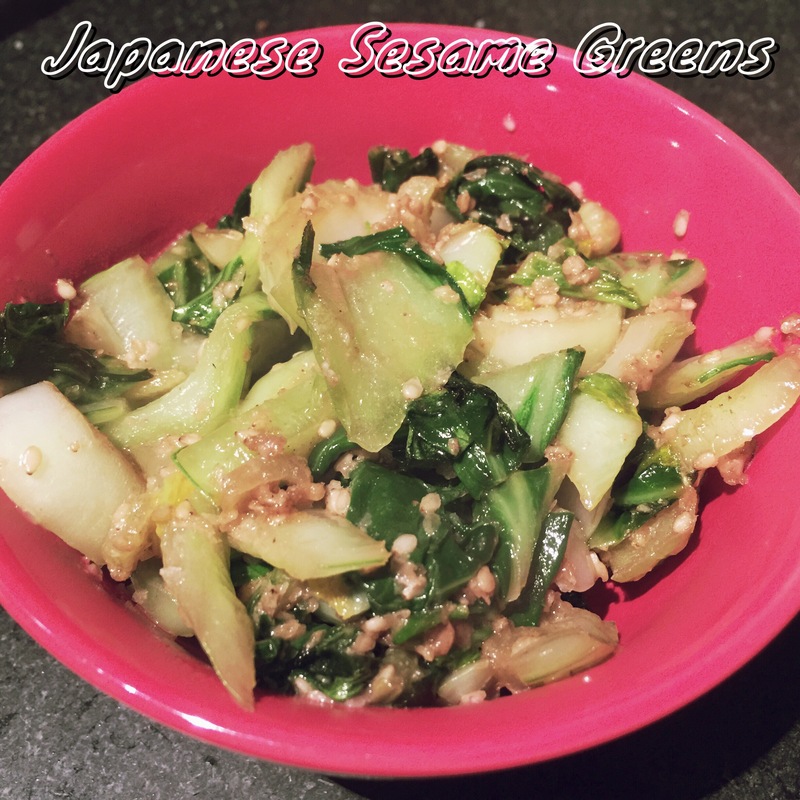 In a medium pan, heat the sesame oil over medium-high heat. Add the bok choy and cook, stirring frequently, until softened. Meanwhile, bash the sesame all to hell in a mortar & pestle until it resembles sand. When the sesame is done, add the coconut aminos & stevia and stir to combine. Let cook a minute or so. Add the bashed sesame seeds, stir to combine, and pull off the heat. Drool. This dish is fantastic, and a real show-stopper when shared with friends in some sort of seasonal bacchanalia. Brown the bacon in your largest pan over medium heat. While your bacon is browning, shred the brussels. Remove bacon to paper towels – don’t ditch the fat. If you have a bunch of kinda burnt bacon bits, pour the fat off into a bowl or cup, deal with the bits, and put the fat back into the pan and the pan back over heat. Add the shredded brussels to the pan with the fat, along with 2 generous pinches Kosher salt. Stir to combine fully. Add the mustard and stir to incorporate fully. Add the nutmeg and hot stuff; stir again. Sautee, stirring frequently, until the brussels begin to brown. 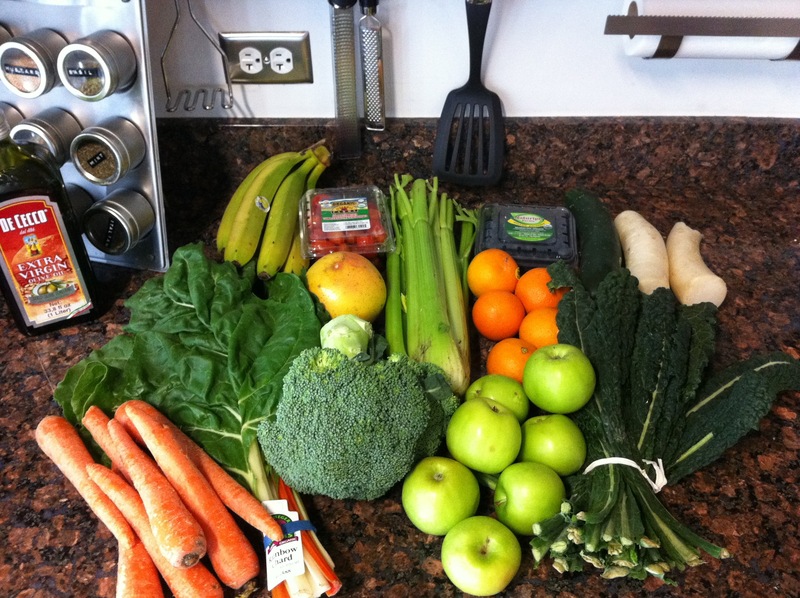 If your brussels look a little dry during this time, add more fat – more fat = more better; it’s the holidays. 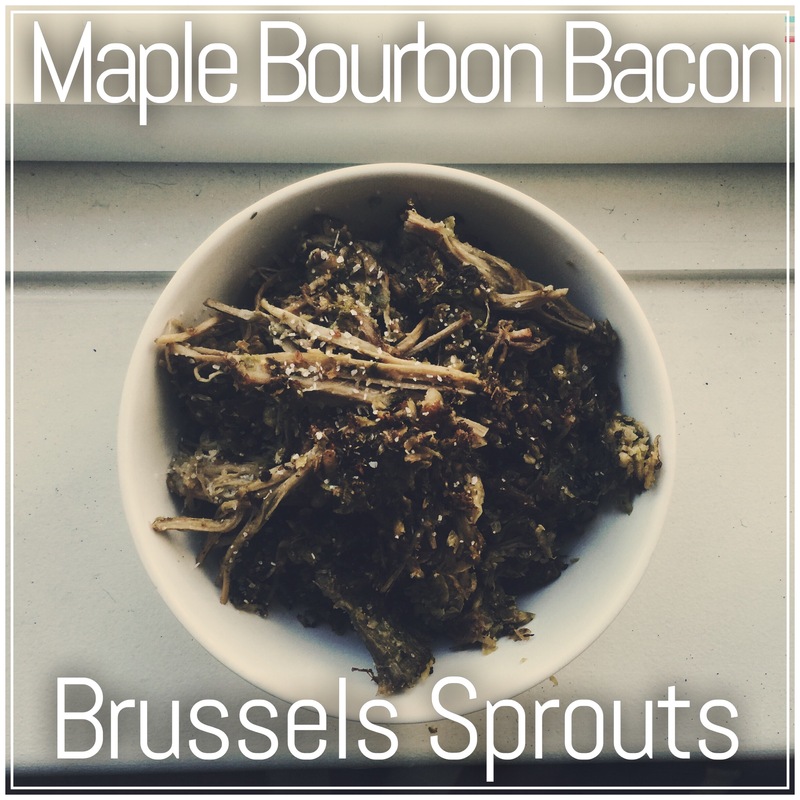 When the brussels are a little browned at the edges, add the apple cider vinegar, bourbon and maple syrup. Stir to combine. Sauté until the liquid cooks out and the brussels are as browned as you’d like, making sure to stir frequently so nothing burns. Crumble the reserved bacon and sprinkle over top. Taste and add more salt/heat/acid as needed. So, you’ve joined a CSA (community supported agriculture) and have gotten your first box of vegetables. Now what? 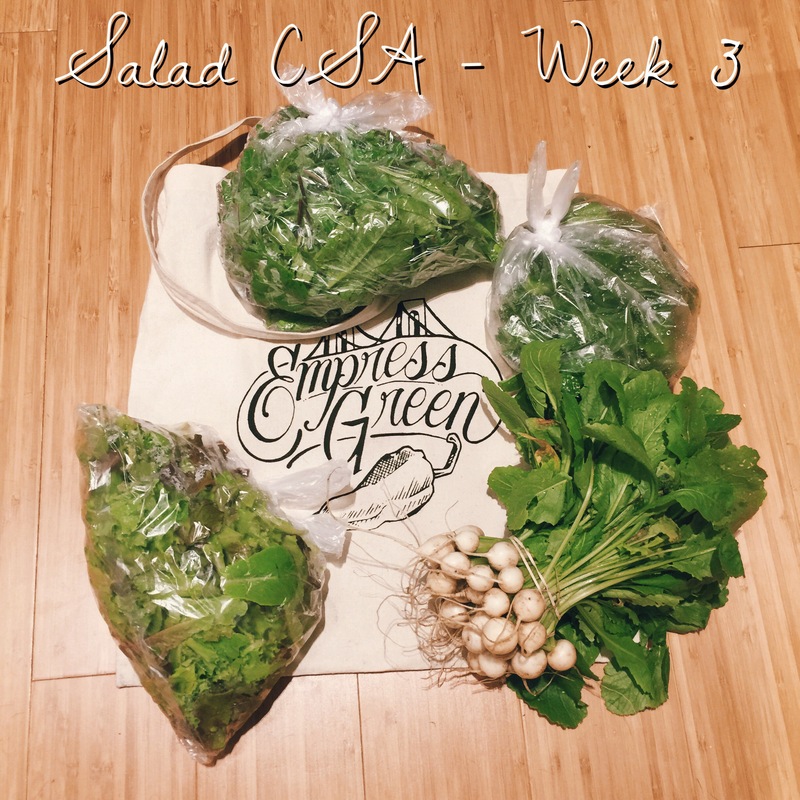 This series will attempt to answer just that by illustrating what I have done with my CSA shares. There’s good news: I first joined a CSA over a year ago, and have found uses for approximately 90% of all the fruits and vegetables I received. I get a half share every other week, which feeds two people 4 to 5 dinners a week plus fruit snacks perfectly. *Note: I almost always swap out lettuces in my CSA shares, usually for bananas or something with more nutritional value. I eat leftovers for lunch most days and have found that lettuce just goes to waste too easy. I used the mandarins, blueberries, apples and bananas in a fruit salad for my nightly snack. I also made a batch of black-eyed peas with collard greens and onions… the collards were left over from my last CSA box of 2010, as was the mango from the pork dish. At the end of the two weeks, I have the grapefruit left over and fell down on the job with the tomatoes. I totally forgot about them, and they went bad.